Netflix is sitting pretty these days. 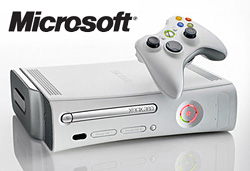 Microsoft has announced one million Xbox Live subscribers have streamed Netflix content through their Xbox 360. Over 1.5 billion minutes of video have streamed since Netflix and Microsoft collaborated last November. Netflix “Watch Now” streaming video is available to all Xbox Live Gold subscribers who also subscribe to Netflix at the $8.99 level (one DVD at a time) and up. Downloading and installing the newest Dashboard is also required. I hope Netflix provides a streaming-only rental service for those who don’t care to receive discs.